(GLEN COVE, NY) – Nassau County Legislator Ellen W. Birnbaum (D-Great Neck) visited the Holocaust Memorial and Tolerance Center of Nassau County (HMTC) in Glen Cove recently. The museum is nestled within the Nassau County Welwyn Preserve and is surrounded by a beautiful garden and grounds. The Center’s mission is to teach the history of the Holocaust and its lessons through education and community outreach as well the dangers of anti-Semitism, racism, bullying and all other manifestations of intolerance. Steven Markowitz, chairman of the Holocaust Memorial and Tolerance Center provided a tour to Legislator Birnbaum and her staff. He described the history of the Center and the work it does throughout the year with both adult visitors and students. The Center was established in 1992 and has a new education institute which was completed recently. The Claire Friedlander Education Institute is located on the second floor of the Center and includes four new classrooms outfitted with modern technology. Tracy Garrison-Feinberg, Director of the Claire Friedlander Education Institute provided an overview of the new museum facility and explained how the material is presented in a way that stimulates discussion and analysis. The lessons revolve around the concept of empowering those who participate in their programs to become “upstanders” rather than bystanders in their own communities. Legislator Birnbaum encourages everyone to visit the Center which houses both permanent and temporary exhibits as well as a library, all of which are open to the public daily. 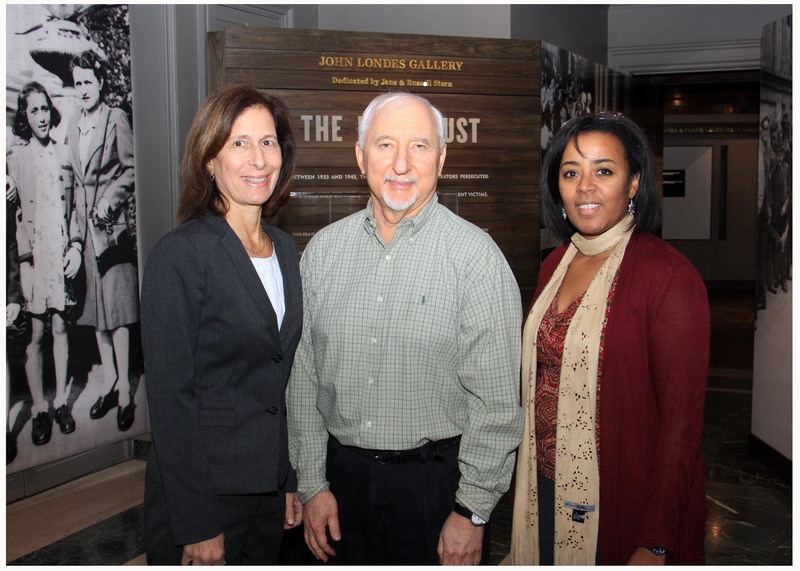 PHOTO CAPTION: Nassau County Legislator Ellen W. Birnbaum, Steven Markowitz, Chairman of the Holocaust Memorial & Tolerance Center and Tracy Garrison-Feinberg, Director of the Claire Friedlander Education Institute.